Is denial coming back into fashion? HomeMarriageNewsRantsReligion run amuckIs denial coming back into fashion? December 5, 2014 Comments Off on Is denial coming back into fashion? Good news! 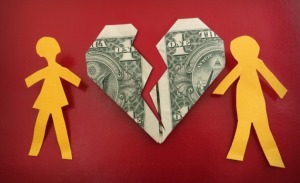 The conventional wisdom about divorce is a myth. Half of all marriages are not actually ending in divorce. Not by a long shot and not for a long time, according to a smart but frustrating report by Claire Cain Miller for The New York Times’s data-driven division, The Upshot. The piece breathes a sigh of relief. Finally, the bad trends are abating, maybe even reversing for good after a difficult period of adjustment to the sexual revolution, which taught us once and for all that marriage is for love. This happy state of affairs stems almost entirely from the great rectitude and pragmatism of liberal cultural values to boot. We’re richer, more liberal, and, well, just better. We love each other more than our grandparents did. Data says so. It’s been an interesting few months of near Pollyanna level optimism about marriage. At first I just ignored it — which wasn’t hard considering the ideological leanings of an economist turned, “Expert,” on psychology by the name of Shaunti Feldhahn (above link) or the strange conspiracy theories held by some of the sources — or dismissed it as the latest expert seeking to prove his/her steel by discrediting the already long discredited idea that 50% of all first marriages end in divorce. But, the number of people now buying into what is nothing more then another salvo in a culture war is beginning to be frightening. The simple fact of the matter is that marriages and families thrive in a greater social context of safety and goodness. When such is missing, at best, marriages sometimes help some to survive — but not thrive. It’s stunningly mercenary to look at a society where rising inequality prevents many from getting married, where increasingly marriage is reserved for the wealthy, where the incredibly unstable institution of cohabitation has become a short term substitute for marriage, where out of wedlock births have climbed by 15% and more children then ever before are growing up without both parents present and call that, “Good news,” because it fits your right of center agenda. What’s even more disturbing is that the level of ignorance about how to have a decent relationship/marriage has never been higher. The VERY last thing we need is for believers in this propaganda play to place even less emphasis on preparing the precious few who are still committed to forming real and permanent marriage. The Upshot also gives fulsome credit to progressive advancements of cohabitation and later-marriage for the slight drop in divorce among the (shrinking) married population. But these are more common on lower economic rungs where divorce hasn’t declined as much, or where marriage doesn’t even occur. Cohabitation is said to be helping marriages at the top by allowing bad relationships to disintegrate before divorce is necessary. But looked at from a wide-angle perspective, cohabitation looks like a substitute for marriage for many others. And what The Upshot doesn’t consider is whether inequality itself is helping the marriages of the upwardly mobile. The data shows that people who already succeed in many aspects of their life are making successes of their marriages. Far from a progressive dream, we may be returning to the two worlds of aristocracy. A married upper class and an unmarried peasantry is exactly what you see when you look at the British Isles in the early 20th century. Those living in converted Abbeys could keep their marriages together, but 65 percent of Ireland’s population was unmarried at the same time, the highest portion in the Western world of that era. There’s just more incentive to hold together the “estate of marriage” when the married couple have property that might qualify as an estate. It’s a downer, I know. But far from a trendline of unqualified marital bliss, the prospects for marriage look bleak. And the improved prospects for a certain class of married person may not be caused by liberal values at all, but may be a side effect of concentrated inequality. The real trend is that marriage is for richer, not poorer. And our only proximate hope is that the rest of America will try to imitate the slightly better marriage patterns of the rich and famous.